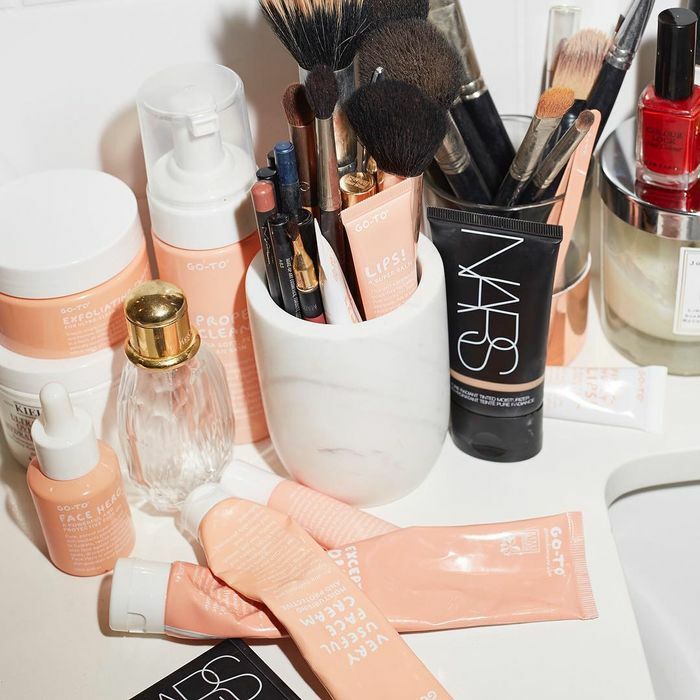 When a coral-tinted parcel landed on my desk a few weeks ago, I immediately knew what was inside—I'd been noticing a crop of peach-packaged beauty products appearing in my Instagram feed for a little while now and was desperate to get my mitts on some. Luckily, Go-To, the brand in question had answered my prayers and sent me a stash of its skincare goodies to try. The Australian skincare brand is the brainchild of beauty editor and author Zoë Foster Blake and has been making waves Down Under for the past five years now. Thankfully, though, it is now shipping its peachy skincare delights internationally—so us Brits can get a piece of the action. Your bathroom cabinet is about to get a serious upgrade. 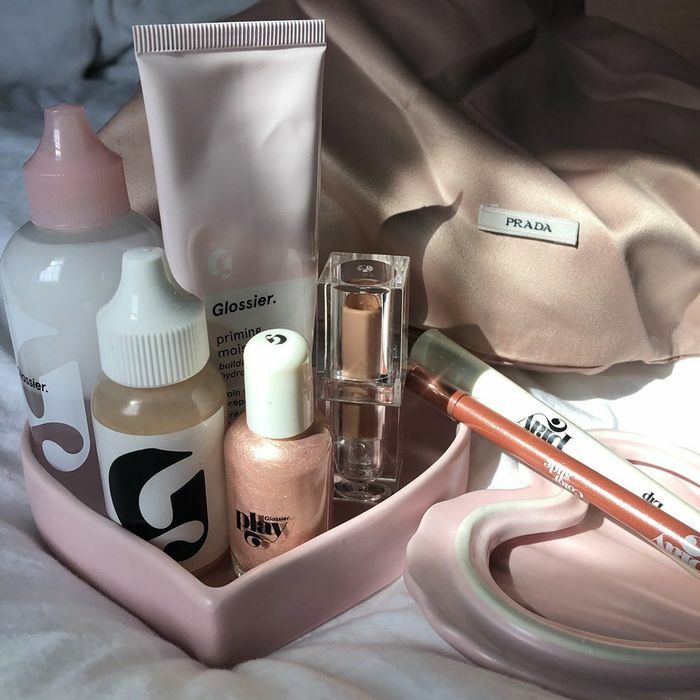 My first impressions, based on packaging alone, is that Go-To are Australia's answer to Glossier. Its packaging is made to be photographed and displayed proudly in your bathroom cabinets, and the brand promotes similar amounts of glowy skin goals through its aspirational campaign imagery. However, what I was really impressed to learn about was its dedication to cruelty-free, plant-derived skincare. All of its products are brimming with pure, natural ingredients that won't irritate sensitive skin—or "piss your skin off" in the brand's own words—and work beneath the surface to encourage a healthy complexion. Go-To founder, Zoë Foster Blake is skincare goals. Having tried the products for myself, I can confirm that this brand isn't just about the pretty packaging—there are some genuinely good formulas in the mix. And even if you're not a skincare junkie like myself, the products are simple, straightforward and easy-to-use. From sheet masks that actually make a difference to the way your skin looks to one-swipe pads for easy exfoliation, there are a few things that I'll be making a permanent home for in my bathroom. It was love at first sight for this sheet mask and me. Keep scrolling to shop my Go-To skincare picks and some other favourites from Australian beauty brands. I'm always on the lookout for lightweight sun protection that won't clog my pores or leave my skin feeling tacky. This SPF delivers on both counts. It's nourishing enough to use as your daily moisturiser if you can't be bothered to layer products, and, although its not a high enough SPF for me to use during summer, I'd definitely reach for this during cloudy days in the UK. This sheet mask is absolutely drenched in serum, so it feels wonderfully comforting on the skin. Containing vitamin C to brighten, niacinamide to heal inflammation (it's great for breakouts) and Tasmanian pepper leaf to protect, I can genuinely say that my skin looked more juicy and radiant after 10 minutes with this mask. My skin loves lactic acid—a super-gentle chemical exfoliator. These pads are soaked in the stuff, alongside hydrating essential oils and aloe vera, to help remove dead skin cells without drying your skin out. These are great on days when your skin just looks a bit dull and grey and you need a quick fix. What was once an Australian skincare secret is now a staple in the kits of makeup artists and handbags of fashion girls. Made from fermented pawpaw, it's an incredible healing balm that you can use anywhere you need some soothing. Personally, though, I like this tinted formula for delivering a flush of hydrating colour to lips and cheeks. This iconic Australian beauty brand is renowned worldwide for its glowy makeup solutions. This liquid highlighter is my favourite as a radiance-boosting primer beneath the rest of my makeup. When it comes to the fanciest hand washes, Aesop does the best. This one is packed with essential oils like mandarin and cedar along with rosemary and lavender for a zesty yet cleansing fragrance. Thank you, Australia. Next up, I never used eye cream until I discovered this £6 one.